Do you ever eat breakfast food for lunch or dinner? In today's world people have turned away from making a lot of things from scratch. They have become dependent on processed foods. 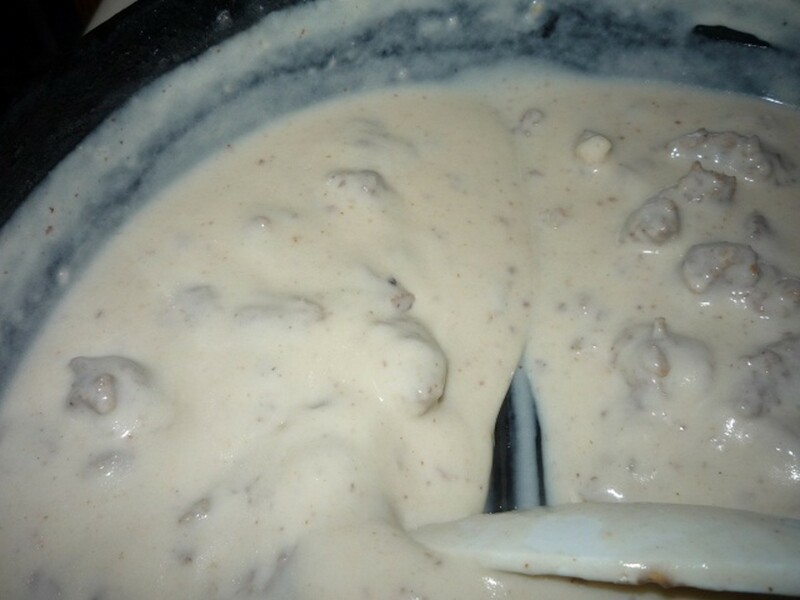 Biscuits out of a can and gravy from a plastic bag. YUCK! 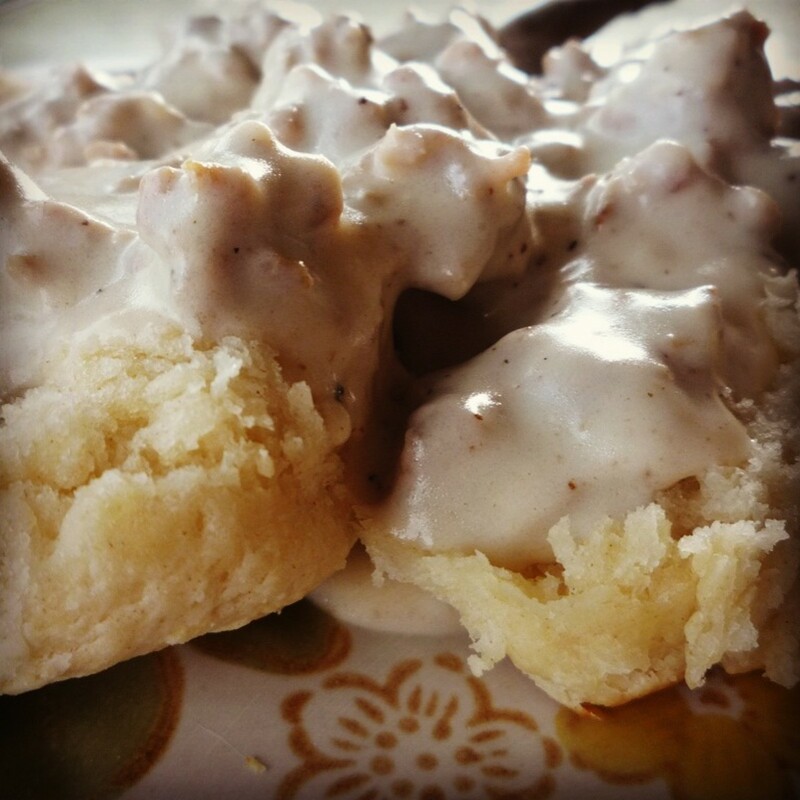 I can guarantee you that most people have never tasted anything like the combination of real homemade biscuits and gravy. I can't remember how many times I watched my mother and grandmother make this gravy. It is so good that I memorized it from childhood and make it a few times a month as an adult. 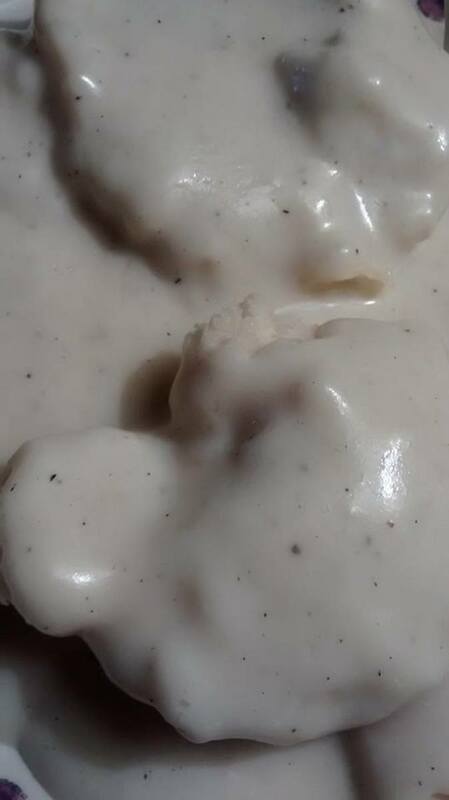 I was shocked when I found out that a lot of people eat biscuits and gravy out of tubes, plastic bags and cans and that includes what you get at a lot of restaurants. The hubby loves this. It quickly became his favorite breakfast. 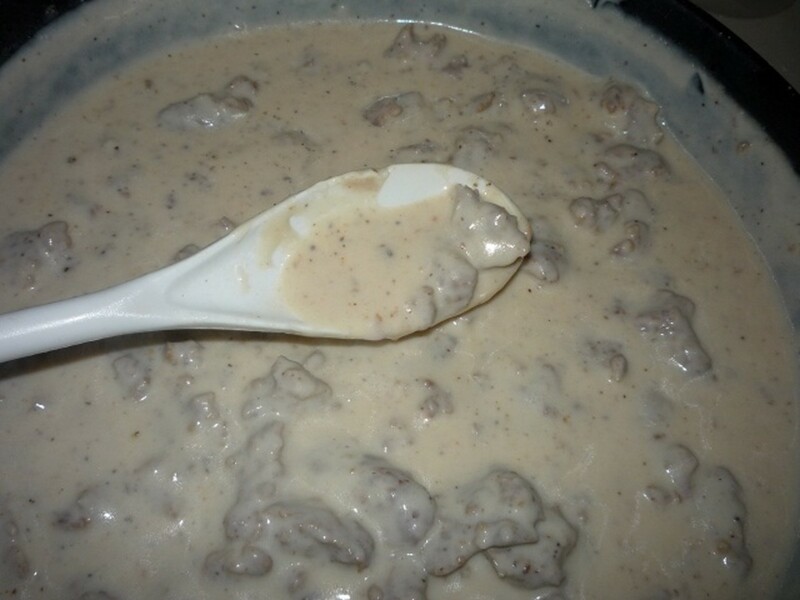 Sometimes I even joke and say that the only reason he married me is because of my sausage gravy. 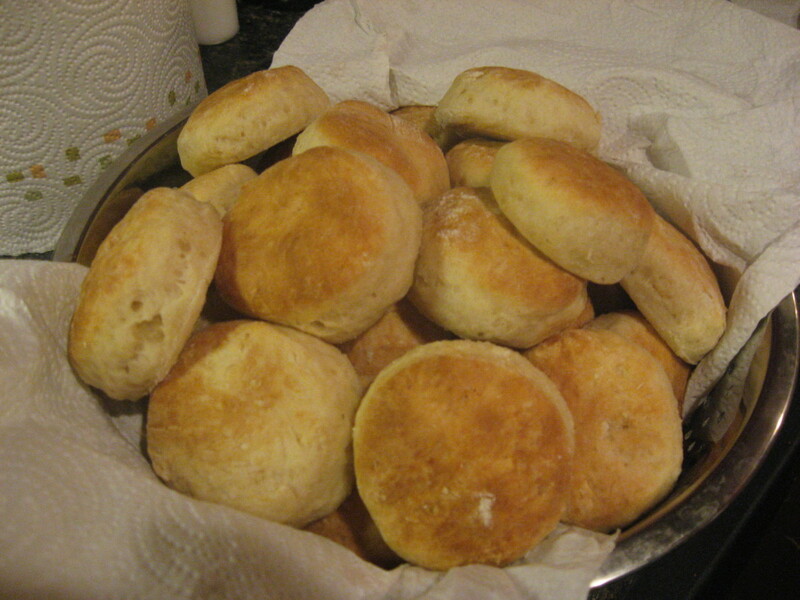 Buttermilk biscuits usually intimidate people but they are really not hard to make once you have done it once or twice. 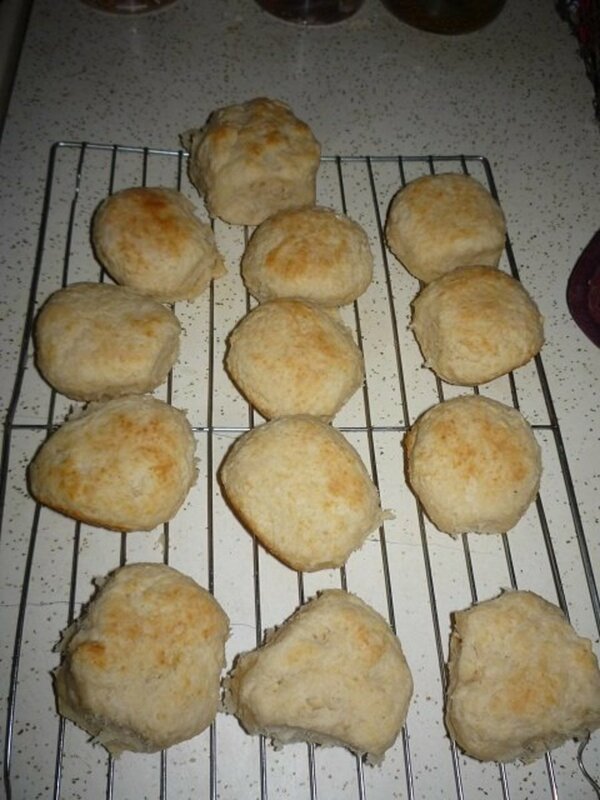 If you can mix a boxed mix or set the stove to the proper temp, you can make buttermilk biscuits. I promise. The same goes for the gravy. Follow the directions as written and pretty soon you'll be able to make this with your eyes closed! In less than an hour you can have a beautiful, homemade breakfast on the table that is healthier and tastes SO much better than what you can purchase already made at the grocery store and in the majority of the restaurants in your area. 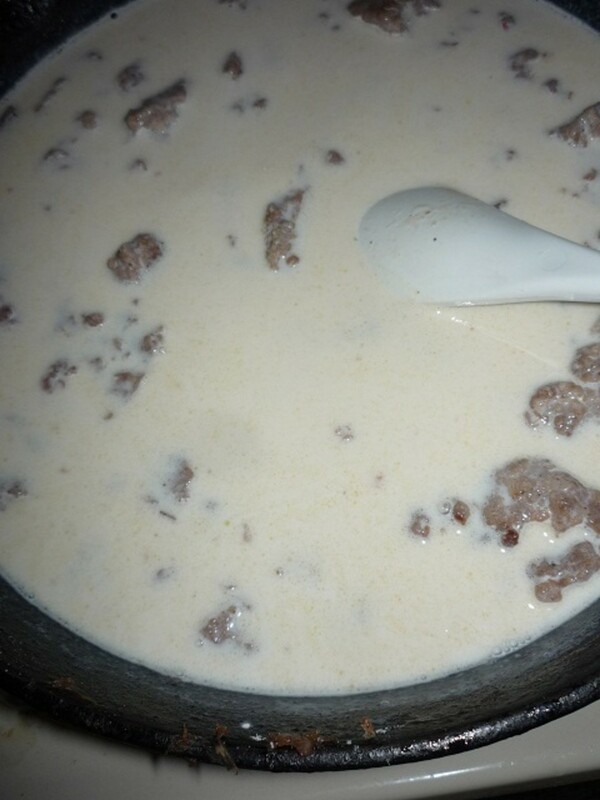 Make it even better by using fresh sausage, milk and buttermilk from a local farmer. The fresher the ingredients, the better the end result and the healthier the meal. 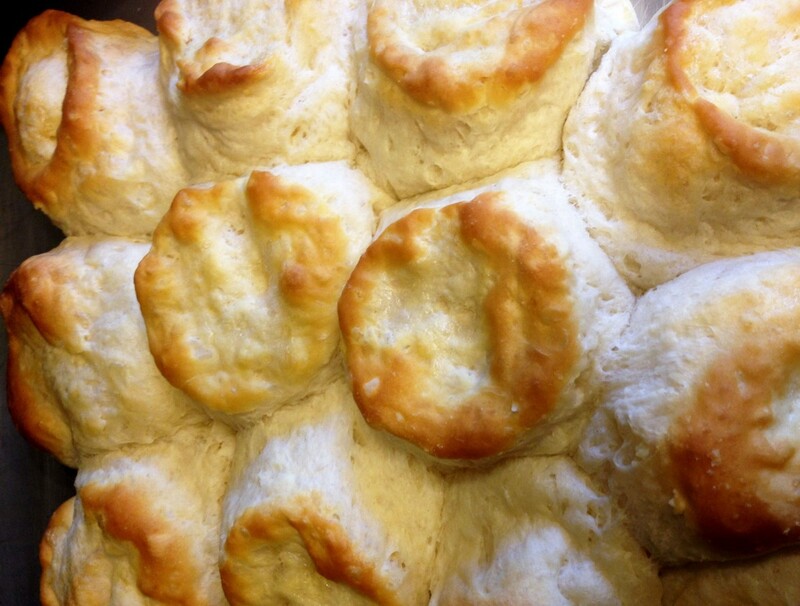 You'll want to start with the biscuits first and make the gravy while the biscuits are in the oven baking. First thing I do is measure out the butter, cut it into small cubes and pop it into the freezer to ensure that it is REALLY cold. Preheat your oven to 450 degrees. 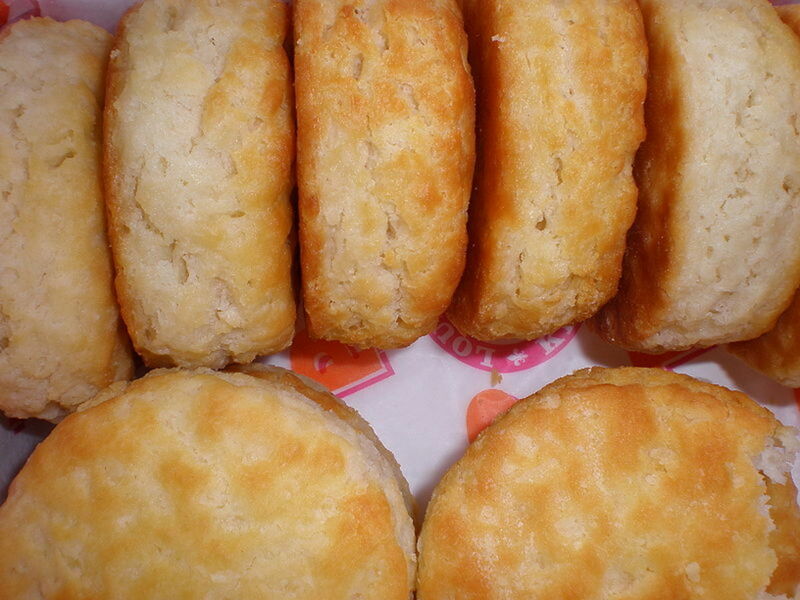 Choose a pan that will hold 10 to 12 biscuits. I use a large iron skillet because I think the biscuits cook better in an iron skillet but a cake pan or cookie pan will do. Grease or butter the bottom of the pan and set it aside. 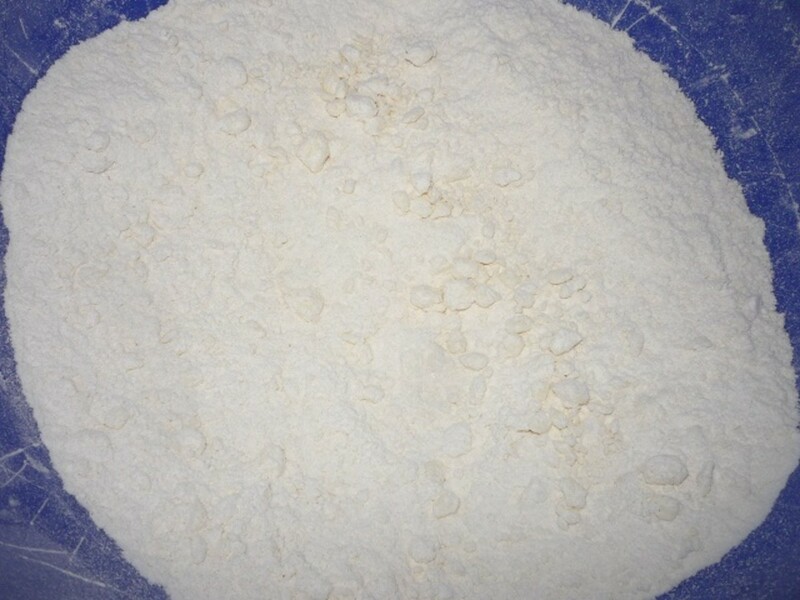 Sift the flour, baking soda, baking powder and salt together into a bowl. 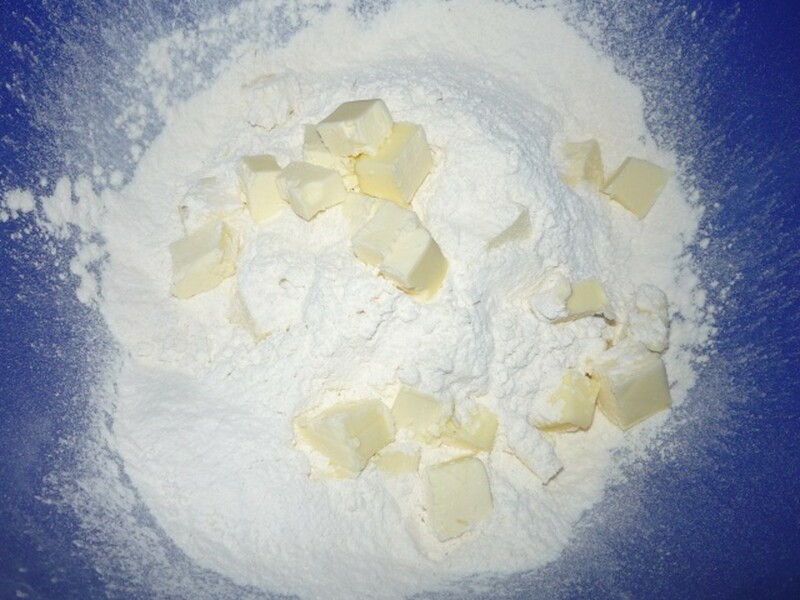 Grab the butter out of the freezer and add all of the butter pieces to the bowl. 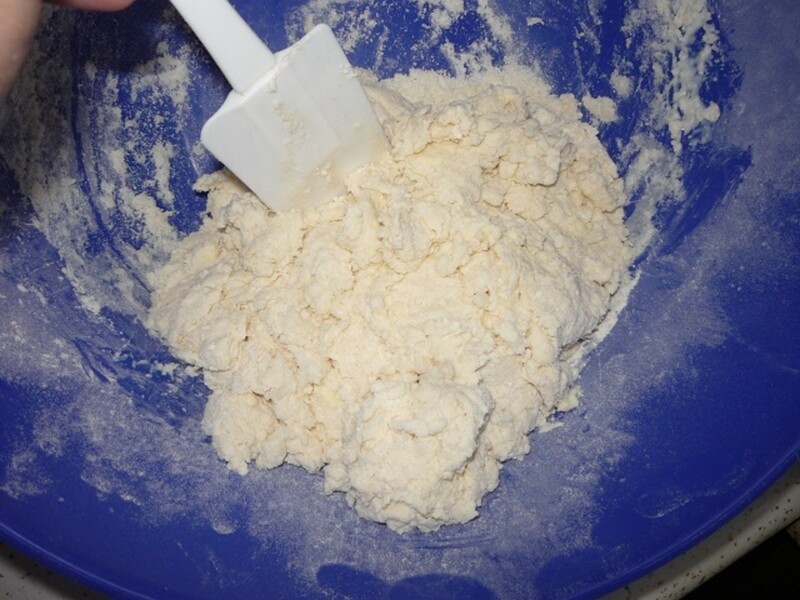 Using either a pastry cutter or a fork, cut the butter into the dry ingredients until the biscuit mix resembles coarse corn meal. 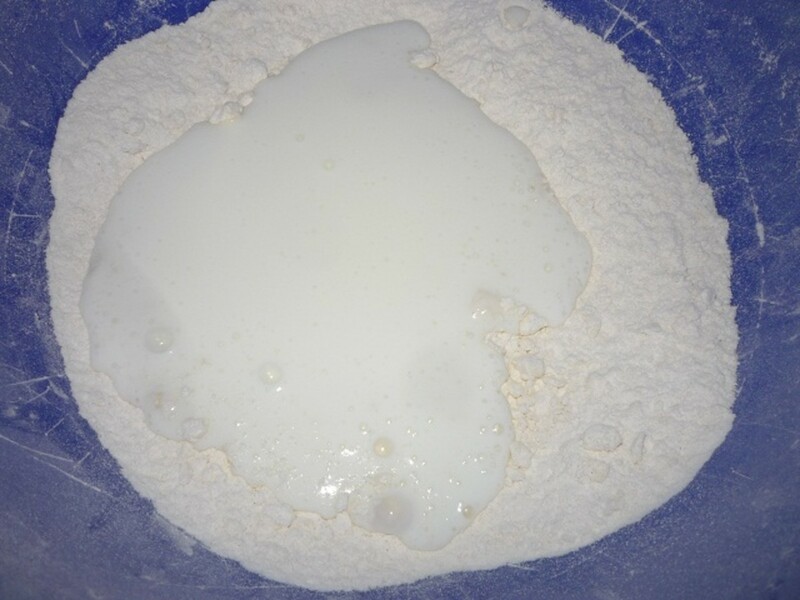 At this point you will add your buttermilk all at once to the butter/dry ingredient mixture. Give it a few, gentle stirs until it is just incorporated. The mixture will be soggy. 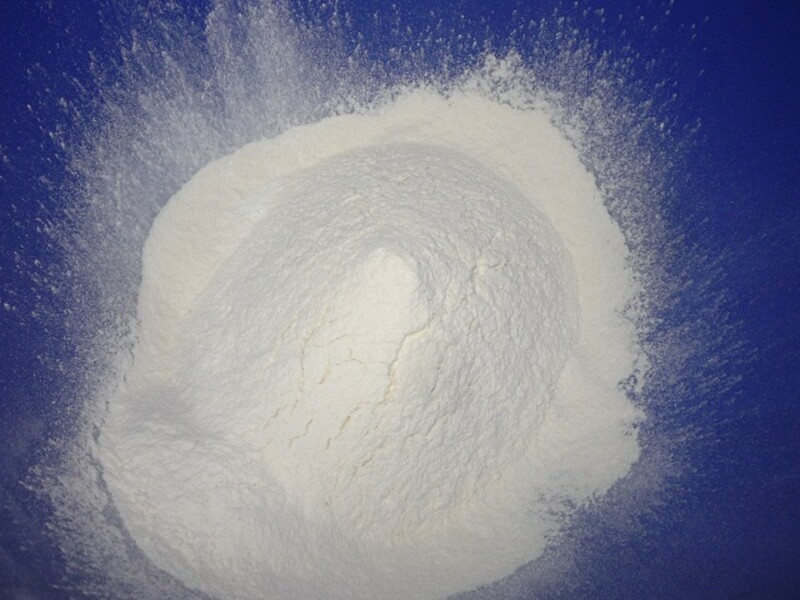 Turn the biscuit dough out onto a lightly floured surface. 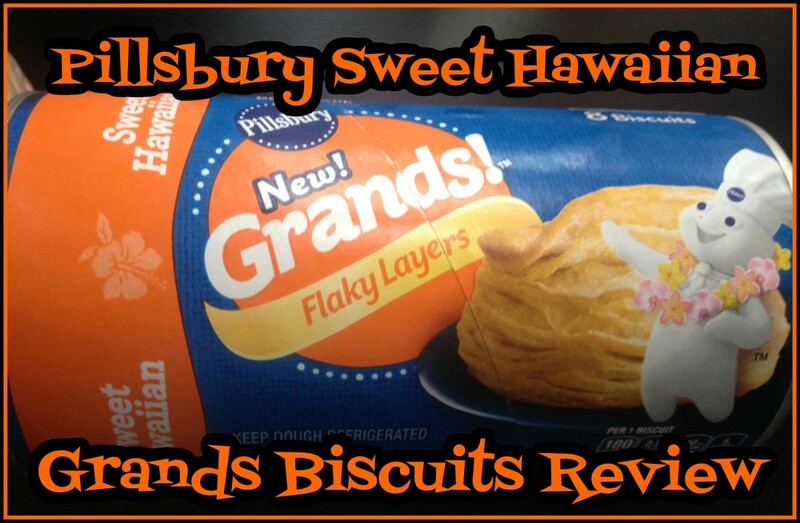 Using your hands, (Do not us a rolling pin on these biscuits, ever!) 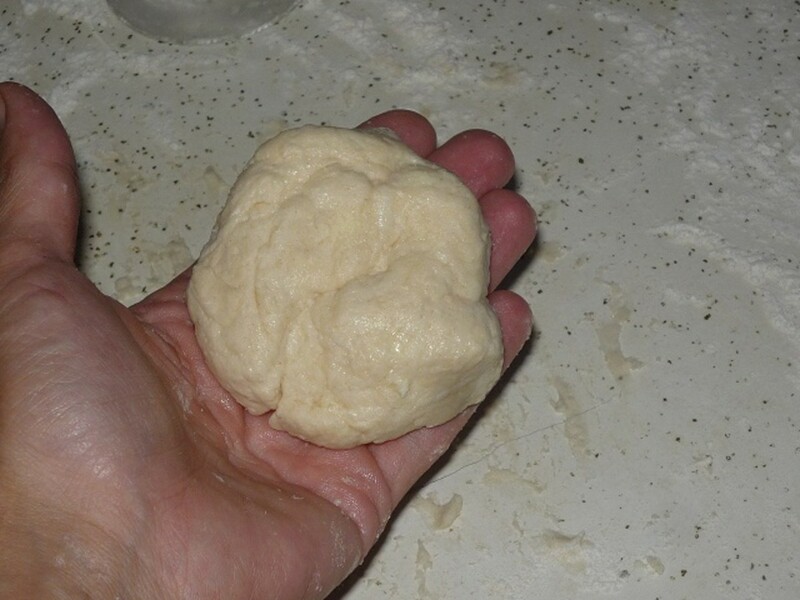 pat the biscuit dough out and fold it over onto itself like you are closing a book. You'll want to do this 5 times. 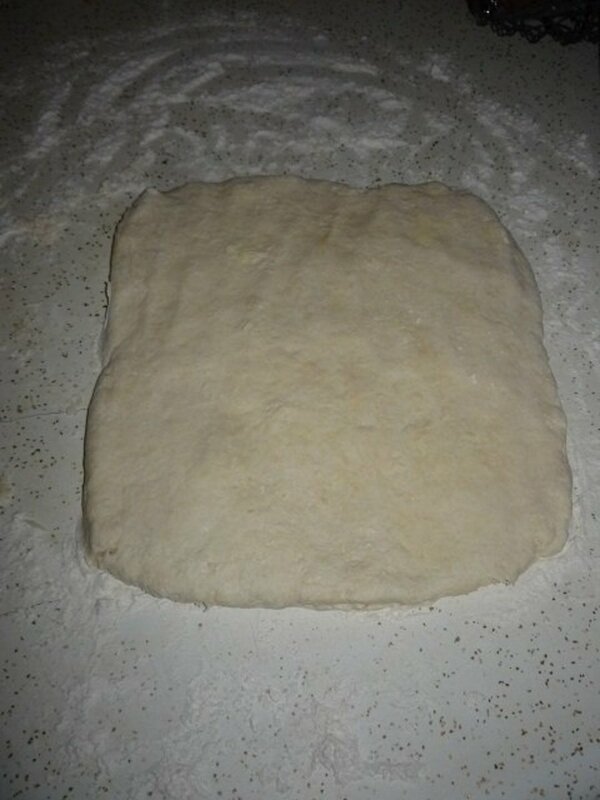 After the biscuit mixture has been folded over, pat the dough out to form a rectangle that is 1 inch thick. 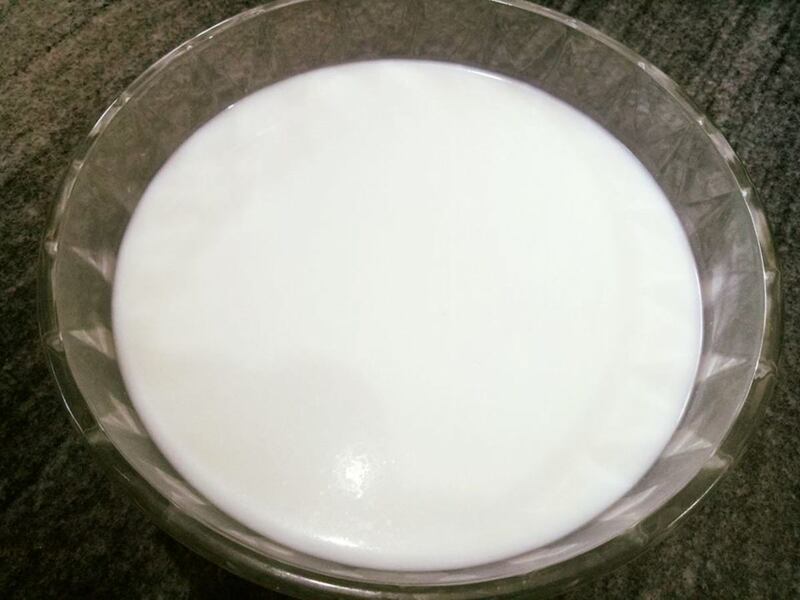 It will be extremely soft but won't be as soggy as it was when you took it out of the bowl. 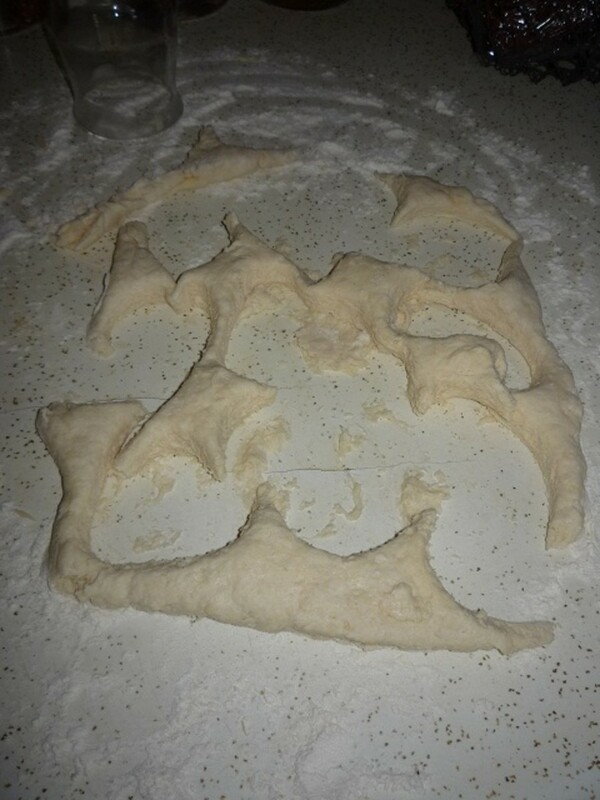 It will look more like biscuit dough. 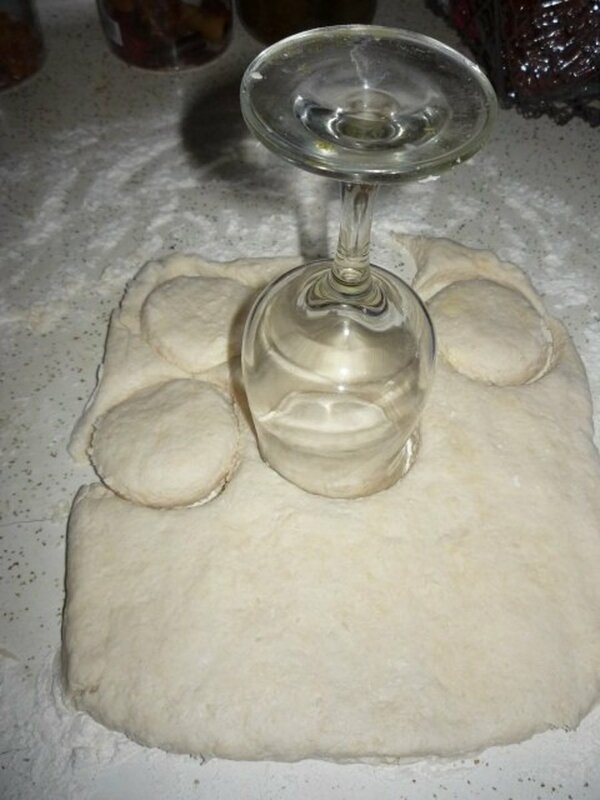 Using a biscuit cutter or a wine glass like I did because I couldn't find my biscuit cutter for this batch, cut the biscuits out of the dough. 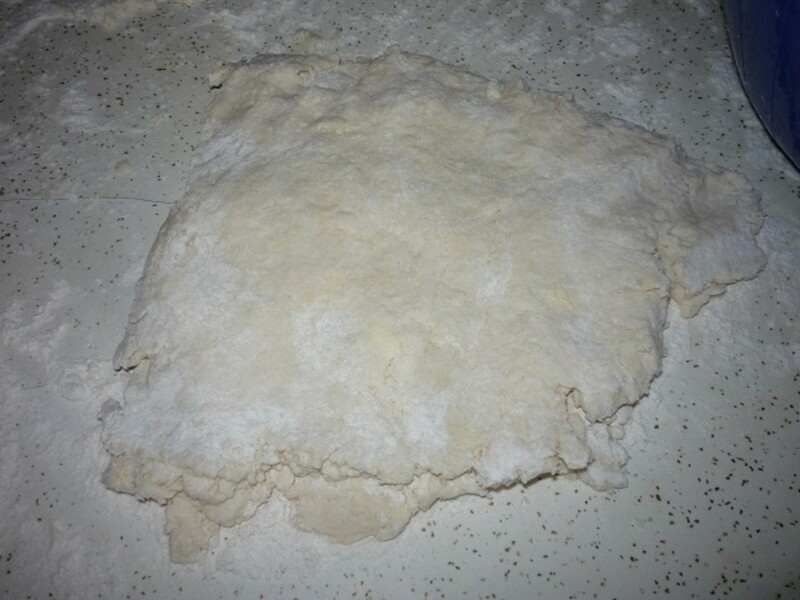 This first cutting will make the best biscuits out of this batch. 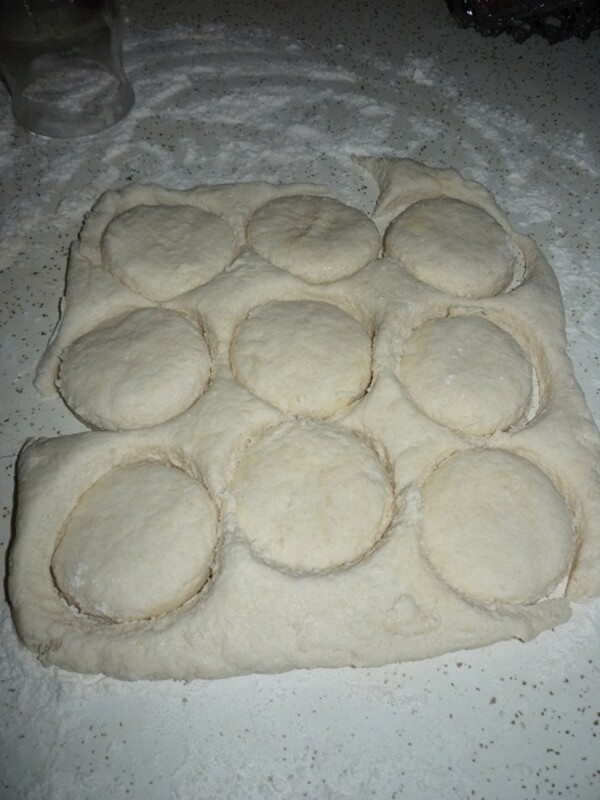 Form the scraps into another 1 inch thick piece and cut out as many biscuits as you can. These won't be quite as soft as the first cutting but they will still be good. 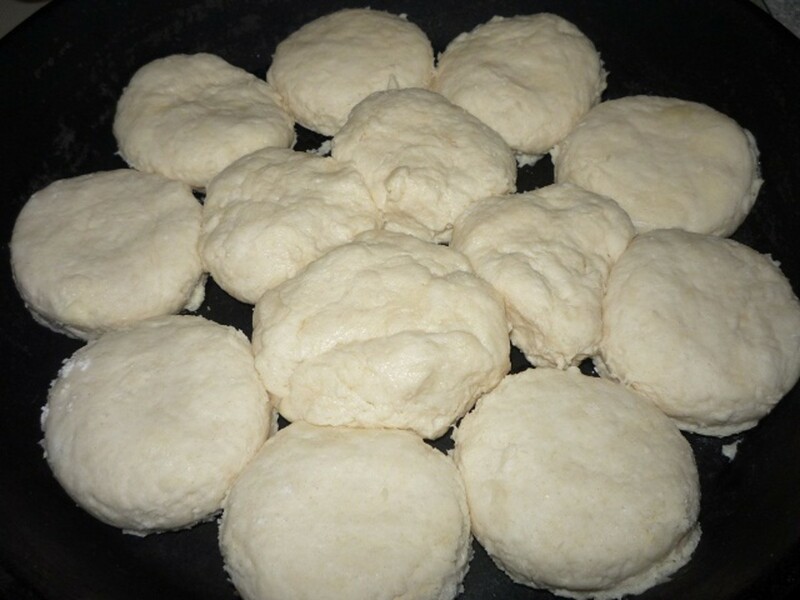 Any left over scraps can be formed into a single biscuit. It won't be as soft as the first or second cutting, but it will still be good. 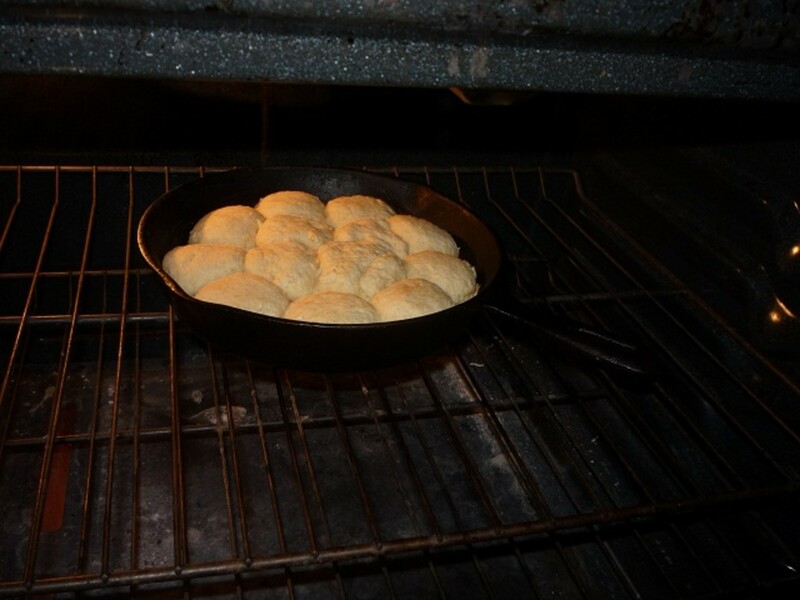 Put the cut out biscuits in the baking pan and bake for approximately 11 minutes until the tops are lightly browned and the biscuits are cooked through. Once the biscuits are in the oven, it's time to start the gravy. 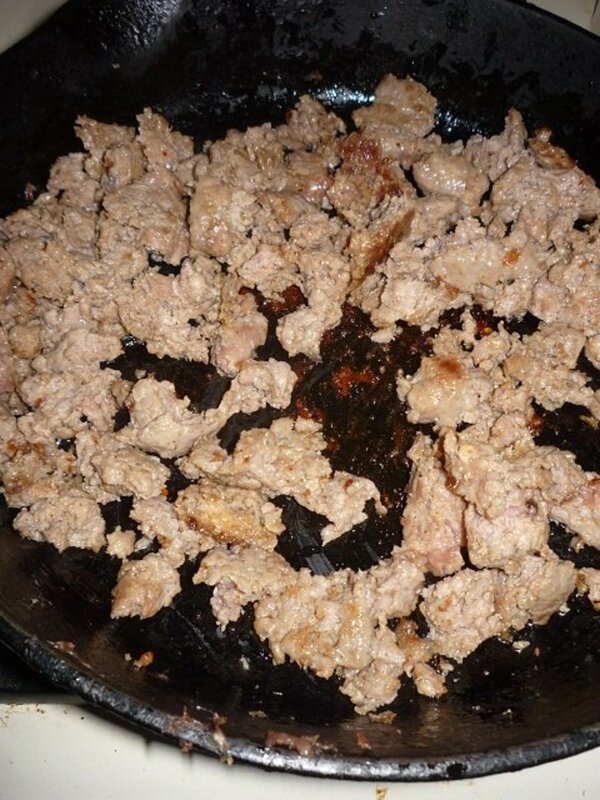 Cook the breakfast sausage until it is crumbled and done. 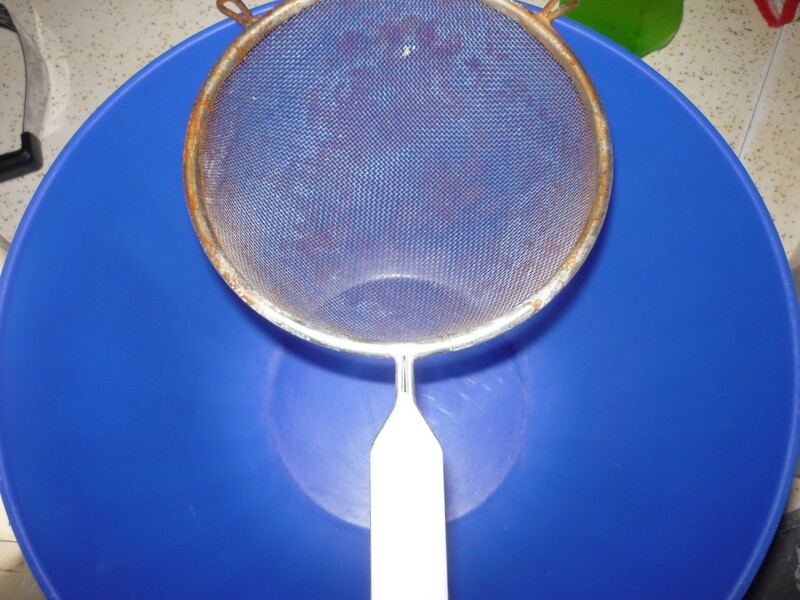 Do NOT remove any of the drippings (grease) from the pan. You will need it for the next step. 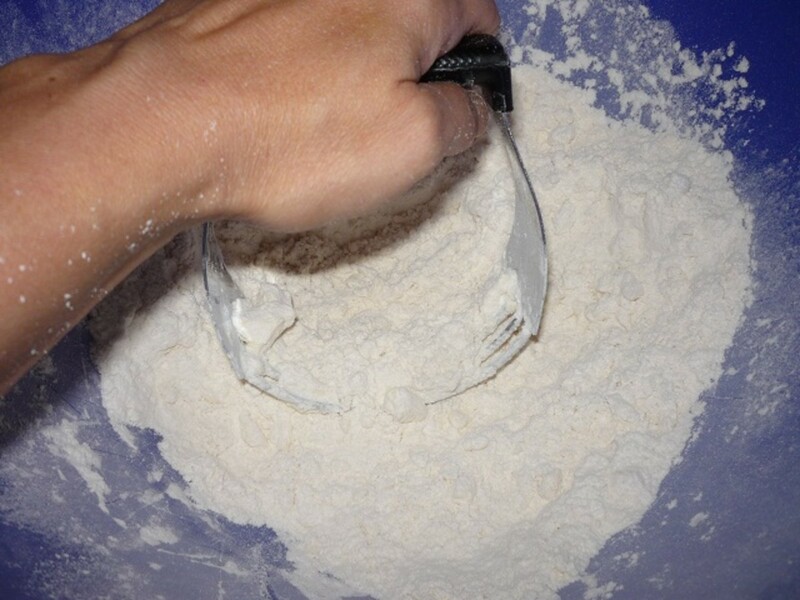 Add the 3 to 4 tablespoons of flour. 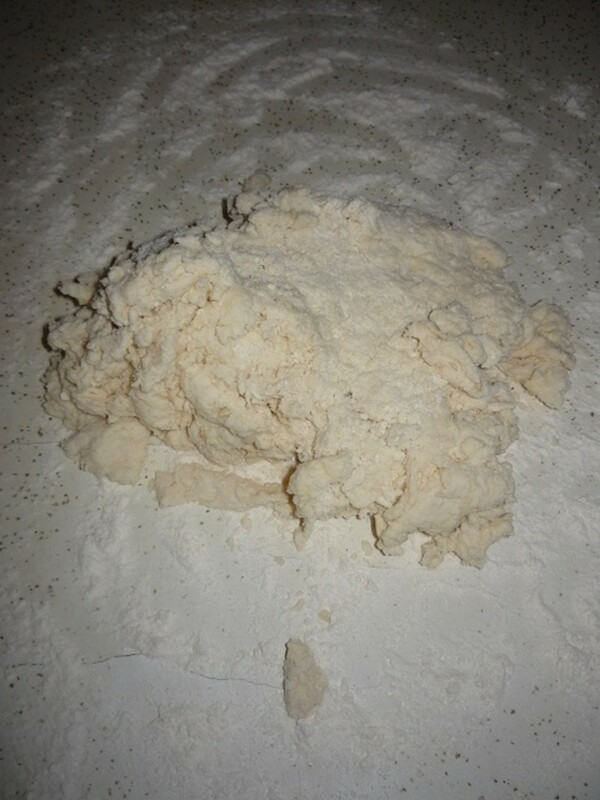 You'll know that you have added enough flour when there is enough flour in the pan to soak up all of the drippings. 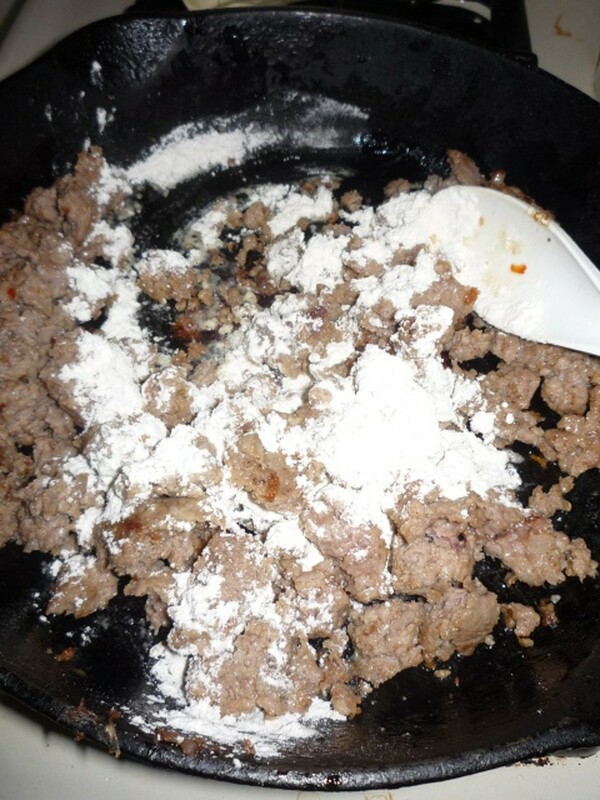 Cook the flour and sausage for 2 to 3 minutes to make sure the flour is cooked thoroughly. Continuously stir the gravy. In a few minutes you will notice that it will start to thicken. The trail of your spoon will start to show the bottom of the pan and it will coat the spoon when it is lifted up out of the gravy. Keep stirring and cook for a minute or two more. Turn off the heat and season to taste. Put the biscuits on the plate, add the gravy over the top and enjoy! This is one of my all time favorite breakfasts. What is your favorite breakfast food? One of our favorites! Recipe sounds good, too. Congrats on HOTD honors today! Congrats on HOTD....looks good and no doubt my son in law would enjoy some of this. So happy to see this recipe. 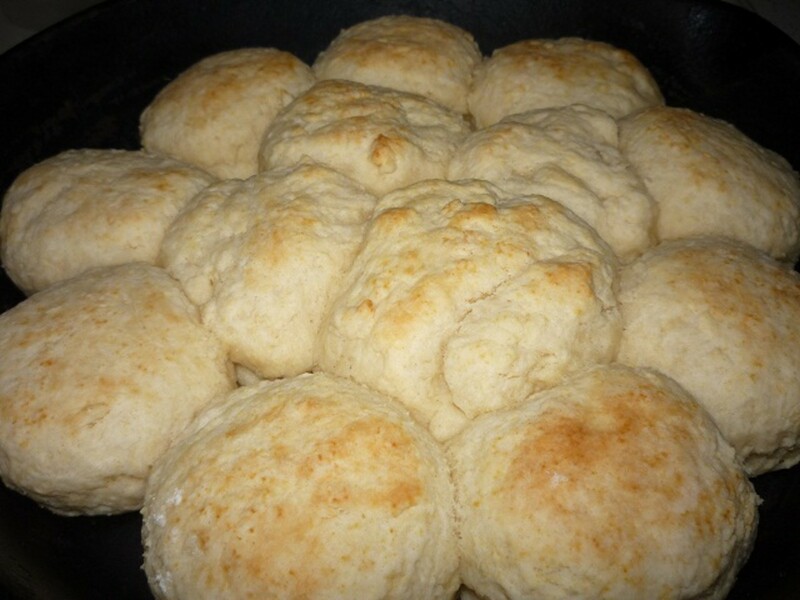 My husband and I wanted to serve biscuits this year at Thanksgiving and were looking for a great recipe. Thanks for sharing yours! I'm pinning this to my recipe board. Congrats on your HOTD!! Helena, this is delicious. I would love to make it this fall season. 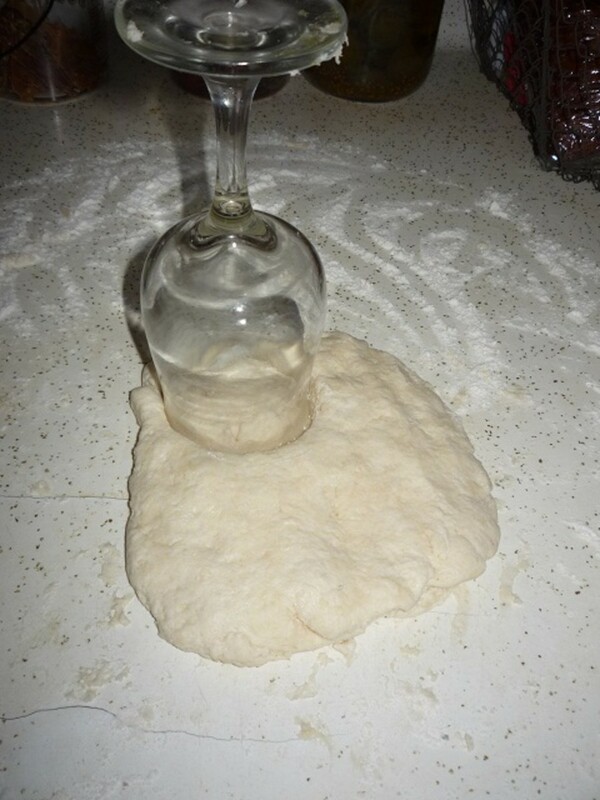 Delicious recipe with easy to do instructions on how to make it at home. Congrats on HOTD! Yum. I hope I can make them like I grew up with. This will sure help Thanks and congrats on HOTD! Love the sound and look of this..never tasted it before! 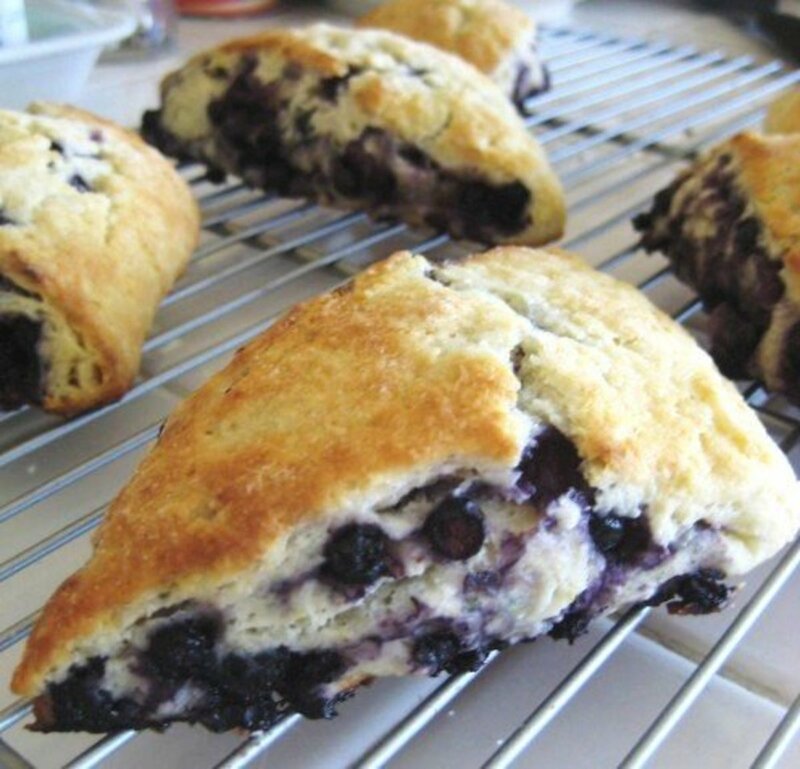 This looks so good going to have to make it for breakfast this weekend. I haven't had this in years but suddenly I am hungry for it again. My husband and I used to make it every Sunday together when we were first married. So good! Thanks! If you make it, please be sure to come back and tell me what you think. It really is easy to make and SO GOOD! MMMMMMM!! 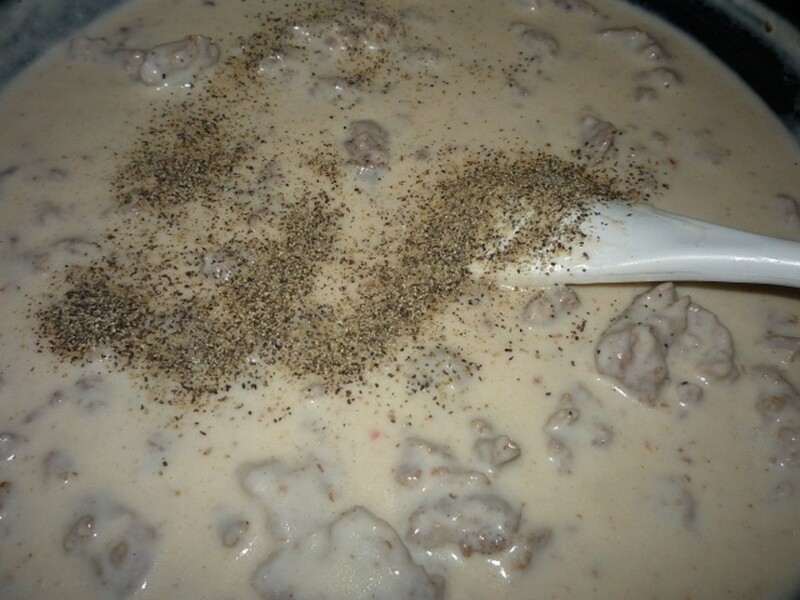 This is my favorite breakfast dish of all time! Thanks for laying it out so that it is simple to follow instructions. Great hub! Voted up! Thanks Mhatter99! :) I was this morning too. Thanks Crystal! After posting it this evening it's on the menu for us in the morning. It's good stuff! 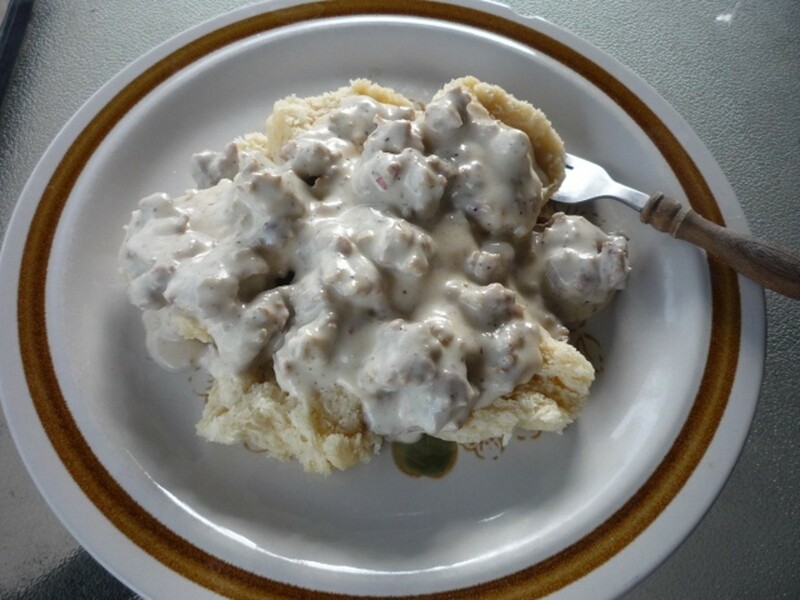 Nothing better than homemade biscuits and gravy. It's a Southern thing, for sure. It's been a while since I've had this dish, but you've got me hankering for some. Voted up!